Developing magnetic bead-based assays, such as Chemiluminescent Immunoassays (CLIA) is not an easy task as there are multiple factors to take into consideration. Parting from a specific biomarker, there is plenty of platforms available, as well as multiple bead coatings and many other choices. All these factors must be considered when designing assays that use streptavidin beads or other types of magnetic bead. 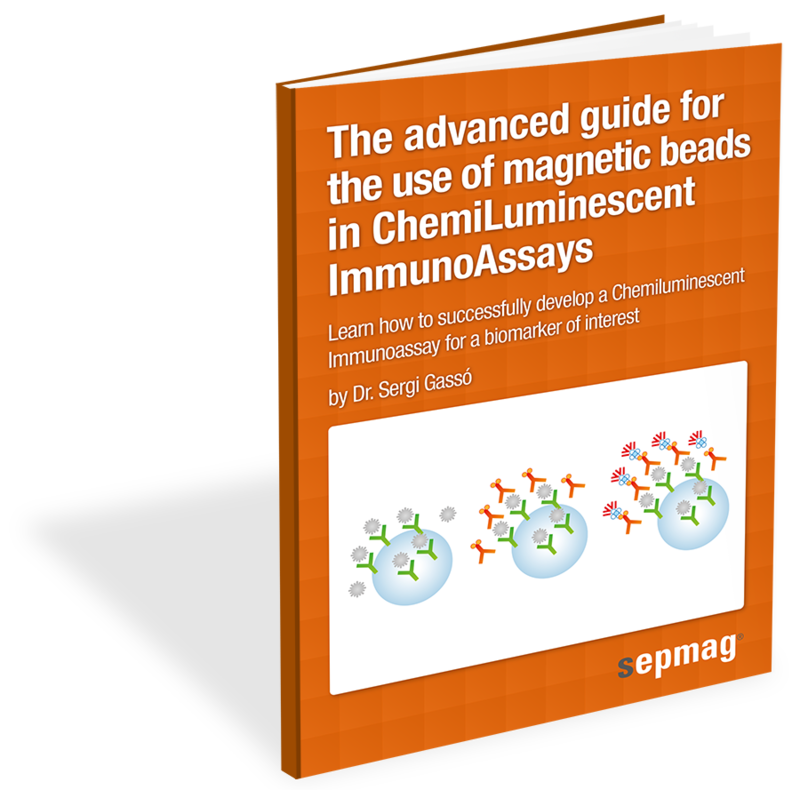 For this reason, Sepmag asked Dr. Sergi Gassó from Pragmatic Diagnostics to prepare this e-book in order to help magnetic bead users design their assays. Dr. Gassó provides a helpful and interesting insight for this topic, as he was the first developer of Chemiluminescent Immunoassays for Biokit and more recently head of R&D in various IVD companies. We hope this guide will help you very much.